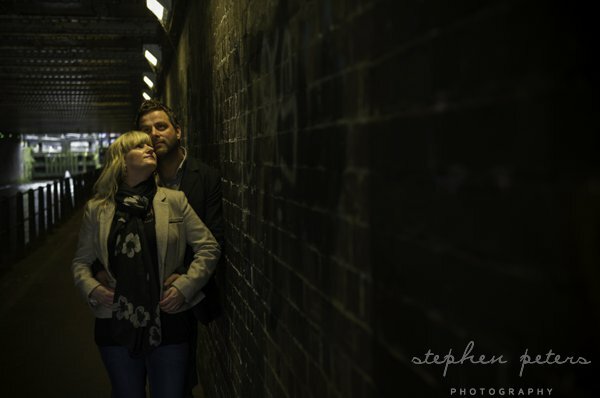 Chris and Sharon opted for a pre-wedding photography shoot in Manchester so we arranged to meet them in the really cool Hilton Hotel on Deansgate. It is many years since we have been into this part of Manchester and much has changed so it was a case of walking down streets and looking for great places to photograph. Quite a change from taking wedding and pre wedding photographs in the Lake District! The staff at the Hilton Hotel were fantastic and many thanks to Damian for the help he offered during the photoshoot. Chris and Sharon get married in May at Broadoaks Country House Hotel near Windermere. So this photoshoot represented a real contrast to what we will be using as background locations in May. There is a real emotional story to tell about this couple but we will wait until after the wedding to tell it. We are really not quite sure where to begin with this Wedding of Tom & Emma at Hampton Manor in Solihull. We could fill pages of text with stuff about the location and the Wedding. As always though it is probably best to let the photographs tell more of the story. So we will try and be brief! Hampton Manor is a stunning location for a Wedding. Set in 45 acres of grounds it is a beautifully restored Country Manor. We could have easily kept Tom & Emma occupied taking photographs for another couple of hours. The ceremony room is decorated with hand painted silk wall covering and the bridal suite is the largest we have had the privilege to work in. The food was outstanding as was the support of all the staff at Hampton Manor. We would love to keep going back! As for the Bride she looked stunning too and although we think Tom is a little shy by nature he was up for anything we suggested on the day. What is it about the Groomsmen that most seem to like to jump! Well here is the complete story of Tom & Emma’s Wedding day. For our other photography, portraits, models, commercial etc please go to our website www.stephepetersphotography.co.uk. This is part two of the Blog for Stephen and Amanda’s wedding held at The Inn On The Lake Ullswater Cumbria. They were a fantastic Couple to work with, being very happy to try anything we suggested including a cold dip in the Lake for Amanda! We have a busy month again ahead of us with bookings for our Photographer Training Day, a commercial photoshoot of Classic Cars to be taken at Holbeck Ghyll Hotel and a Wedding at Barnard Castle in Yorkshire. Just an extra word about our Training Days which are exceptional value. We do a one on one day which can be based in our Studio or out on location or a mix of both. If you research prices on the internet for these type of days they are typically between £500 – £1000 depending on the photographer carrying out the training. For the rest of this year we are offering this service for just £200. This fee also includes supply of models for the day and use of all of Stephen Peters Photography lighting equipment. So if you want to improve or practice please get in touch. We only have two days left in August and September is fully booked leaving some dates from October to December. Ian and Cathy were married at Yewfield near Ambleside Cumbria. Yewfield, as well as being fully registered for wedding ceremonies, specialise in Vegetarian and Vegan wedding breakfasts. It is a beautiful spot to get married and the sun shone all day for Ian and Cathy. They originally met through a Vegan internet site and as Ian remarked in his speech it was the best £12.50 he had ever spent! Situated near Tarn Hows, where some of these photographs were taken, it provides everything needed for a small and intimate wedding location. Ian is an accomplished Pianist and you can find his work at Ian Haywood Musician. He composed some special pieces for Cathy which included Daybreak from the Lakeland Symphony, Music from an Essex Marsh, Nocturne in D, The Piralette,Tiche Misto, A Little Light Breeze, The Wave and The Waddleduck Rag. There is a Steinway & Sons Grand Piano at Yewfield and Ian treated all of his guests, including Ruth and me, to a 45 minute recital which was just superb. The only small downside of the day was that Ian and Cathy wanted me to take photographs of them with their Arsenal mugs (I am tempted to say something about Arsenal fans/mugs but will refrain!). Well since this Wedding last week we have been incredibly busy with Pre Wedding and Studio photoshoots and this Saturday sees us at The Midland Hotel in Morecambe for the wedding of Paul and Stephanie. So keep following our exploits. Wedding Photographers Lake District were at Brantwood in Coniston last week for the Wedding of Philipp and Kyeema. This was a real destination wedding but with Cumbria being the destination. The Bride flew in from Canada, the Groom came from Germany, the Brides Mother travelled over from Australia and guests came from far flung places including Greece. Brantwood is a lovely location for a small intimate wedding and all the participants were able to find very local accommodation at Bank Ground Farm. The reception was held in the adjacent Jumping Jenny Restaurant which also has an excellent reputation. It was a real thrill for Wedding Photographers Lake District to be there because Philipp and Kyeema had chosen us after trawling through all the wedding photographers in Cumbria on the internet. This was the most unusual wedding we guess we are likely to carry out as it was one of four that the Couple are holding around the World. This year we have noticed more than ever that many Couple’s are on quite tight budgets for all the services they need and want for their wedding day. In response to this we have launched a second wedding package that Couple’s in this situation can take advantage of. Many of the low cost packages on offer are from part time or amateur photographers, many of whom may not even be insured. If you do not want to risk your once in a lifetime wedding photographs in this way then ask us about our new package. This wedding of Philipp and Kyeema was the first time we have offered such a package and they were very grateful to have full time professional photographers to capture their day for them. We will be with you for all the key moments and as an example at this wedding Philipp and Kyeema have over 200 images to choose from. For more details contact us through the website or call Steve on 07768 864622. Wedding Photographers Lake District were with Stephen and Caroline yesterday for their Wedding at Fayrer Garden Hotel in Windermere Cumbria. The day started overcast and dull which gave us cause for concern as we knew Caroline had planned a lot of activity for the day. As we arrived we remarked to them that last year, despite the terrible weather, every Wedding we had attended had enjoyed clear days and sunny rays. Would this turn out to be the same? We couldn’t believe it as the clouds cleared through the day, the sky turned into blue and white and the sun warmed everyone up. Now Wedding Photographers Lake District clearly do not control the weather but we are obviously delighted that we have all enjoyed better days. Family had travelled in from far flung places such as Brighton but for Stephen and Caroline it wasn’t too far to travel. This was our first time at Fayrer Garden and as well as being a really cool place to get married we must say a big thank you to all the Staff who looked after everyone, including Ruth and I, so well. When Caroline first visited us and briefed us on her requirements for the wedding photography she made clear she liked colour images that are in focus! We think we may have delivered on that one! Caroline’s dress was hand made for her by Jacquie Kidd and was a stunner. The unusual wedding cake which had a rainbow sponge inside was supplied by Jackie at Celebration Cakes. Hair and Make Up was by Laura Hill. Chair and room Decor was provided by Geraldine Ophide. After the Ceremony and some formal photos the four of us headed off to Lake Windermere and a quiet little jetty as that was one of the images Caroline was very keen to get. Then it was a quick dash up to Waterhead to board the boat which took us all down to Lakeside. There an old classic coach, supplied by Cumbria Classic Coaches, awaited the Guests and after a run through the countryside delivered everyone safely back to the Hotel. Stephen stood up to give his speech and had his Mum in tears as he exclaimed his love for Caroline and told us all how they had met. To round off the day it was fireworks in the Hotel gardens and then for Ruth and I, after a 14 hour day, back home to collapse. Stephen relaxes before the Big Moment! Wedding Photographers Lake District were out with Paul and Stephanie on Sunday for their Pre Wedding photoshoot at Waterhead. We also had a little addition to the group in the form of Louisa so she just had to be in some of the photographs as well! Wedding Photographers Lake District will be with Paul & Stephanie when they get married this summer at St Barnabas Church. Then it will be on for the reception at The Midland Hotel in Morecambe. We are all hoping there will be a stunning sunset as you can step right out of the back of the hotel onto the beach. As you will see in the photographs the weather was rather dismal when we went to Waterhead. Despite that however Paul and Stephanie were in great spirits and we all left feeling very happy with the afternoon. Why bother with a Pre Wedding or Engagement photoshoot? If you were able to ask that question of all those we have taken on this type of shoot I know you would get a very positive response. First and foremost we make sure it is fun. If you are ‘camera shy’ it gives us time, before the wedding day, to allow you to be comfortable and at ease. We can coach you how to achieve those really stunning intimate images on the wedding day. We all get to know one another a lot better of course and this really helps on the wedding day. It builds confidence in both parties. On the wedding day itself no other supplier is with you as long as we are so it is important we can all interact with one another well. You also get to choose one of the photographs for your Signature Frame. My wife Ruth takes this round all of your Guests at the wedding and we get them to sign it and leave goodwill messages. These are just a few of the reasons why it is a good idea! As award winning photographers Wedding Photographers Lake District will ensure you are delighted with the whole experience. Last year we were nominated as Photographer of the Year 2012 by the Society of Wedding and Portrait Photographers. This year we would like to work with you to produce the images that win it! Wedding Photographers Lake District recently exhibited some wonderful new Italian Wedding Albums. We thought we would showcase an Album that we have compiled from Sam & Lorna’s Wedding that took place last year at Broadoaks Country House Hotel in Windermere Cumbria. Lorna’s stunning wedding dress was designed by Lusan Mandongus and so many Couples who have seen the photographs have commented on how elegant Lorna looked. At the Church in Thornthwaite Cumbria the Manchester String Quartet greeted us all as we entered and then at the Reception pianist Stewart Fleming entertained all the Guests. Later on in the evening Champagne served up some dance music that kept everyone busy until the early hours. A little earlier in the evening we had taken a trip down to the lakeside to capture some images as the night sky appeared. Quite a bit of photoshop work went on afterward to remove all the midges which had been circling them both! This Album from Wedding Photographers Lake District is a sample of the Varnished cover which is available in a number of different colours. The name of the couple and date of the wedding is laser etched into surface. There is a choice of Album page thickness from thin to thick and rigid. This one is rigid and so makes for quite a thick book. You will also see a choice of different page background colours from black, white, light silver and dark silver. We have also included in this Album some of the more ‘arty’ finishes with faded photographs. All of this is your choice to make. ÂOur standard wedding package now includes an Album 20cm * 30cm with cover type, colour and page type of your choice. We have a Swatch book that show all of these options. Wedding Photographers Lake District were at the Rheged Wedding Fayre earlier this week. It was great to meet so many Brides to Be and we are looking forward to being the Wedding Photographers Lake District that capture images for them. I managed to take some quick photographs of the Catwalk show and of course our own stand. We had taken four brand new Wedding Albums with us and they went down really well. They are all hand made in Italy and are of exceptional quality. The first Wedding Album had a Varnished Red Cover with the names of one of our Wedding Couples from 2012 engraved by laser. The second was a Nappa Leather Album presented in a beautiful Art Box. The third was a textured Leather with photographic insert and the final one an Acrylic cover. We also now have a Swatch book which has every possible option encased within including Covers, Colours and Paper style and thickness. If you are wanting an Album that will be cherished for life and an heirloom to pass down to future generations of your family then visit Wedding Photographers Lake District’s studio and let us show you what we have. So I thought the Ladies out there, and especially future Brides, might appreciate a quick glimpse of some of the beautiful Wedding dresses that were on show. If you missed us at Rheged do not worry as there is a second chance to come along and meet us this month. On Sunday 24th March we are at the really cool Inn On The Lake Wedding Fayre, Ullswater, Cumbria. This is a favourite place of ours in The Lake District as we have photographed some beautiful Weddings there and its location is just ideal for romantic and intimate images. Wedding Photographers Cumbria were with Ian & Cathy in January for their Pre Wedding photoshoot. Due to the extremely cold weather and the fact that Ian had not been too well we decided to capture our images together in the Hotel. Like most couples we meet Ian & Cathy were very apprehensive about having their photographs taken, so we usually start out with something straightforward and easy and work our way up to getting them really loved up! For this photoshoot with Wedding Photographers Cumbria we were in London at the really cool Grosvenor Hotel on Buckingham Palace Road London. What a building, fully restored back to all former glory with gorgeous marble pillars and staircase plus two really picturesque wrought iron spiral staircases, not something we come across in The Lake District. Ian is a great Classical Pianist and you can find his work at http://ian-haywood.co.uk/shop.html. They are getting married at the Yewfield in The Lake District in May and Ian has composed a special piece of music for Cathy on the day. That is surely going to be an emotional moment and one I will definitely want to capture. If you are a Bride and Groom couple reading this and you would like to meet up there is a great opportunity to do that on Tuesday night, 12th Feb, as I am exhibiting at the Wedding Fayre at Stonecross Manor, an event sponsored by the Westmorland Gazette newspaper. We have enjoyed meeting a lot of Wedding Couples there in the past and the Brides will be interested to know you can watch catwalk bridal gown shows as well as talking to me about lots of stuff! 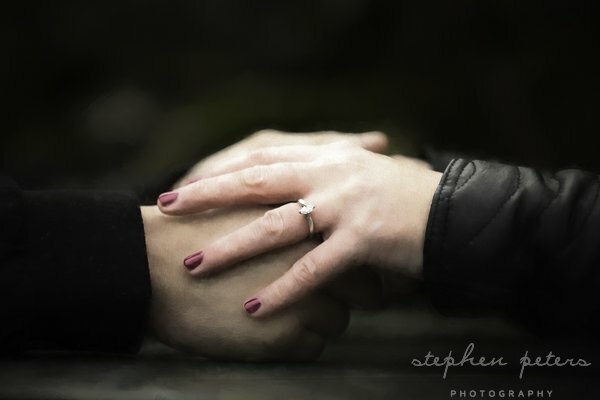 Wedding Photography in Cumbria and The Lake District by Schtuff Photography. A Pre Wedding photoshoot at The Grosvenor London.